Set within our Champions Suite in the Barwell Stand at Franklin’s Gardens, our ‘Everybody Dance’ package provides the ultimate backdrop as you make memories to last a lifetime with your family and friends. 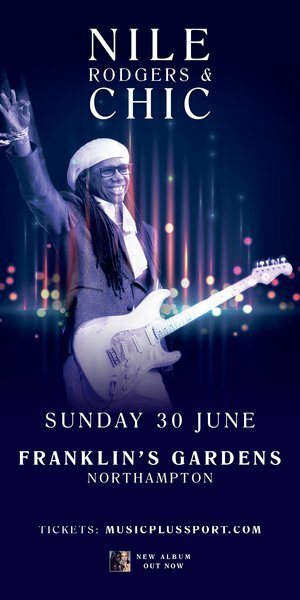 Your Nile Rodgers souvenir laminate and lanyard will grant you fast-track entry into the stadium and a VIP check-in in the Barwell Stand – as well as pre-show, interval and post-show access to this private lounge. Roaming bowl food will be served as you take advantage of our complimentary bar service, with the private bar open throughout the concert. And you’re free to enjoy all of Nile Rodgers and Chic's hits from either your padded, allocated seat directly outside the lounge, or watch from the stadium floor.